Domain Name is known as the web address or website address. Internet can understand the IP address or Internet Protocol address but it is difficult for us to remember IP address for many sites that is why Domain Name term came. Domain Name is the first thing that you need to select before making a website. Domain Name should be good to remember and generic. People can esily remember it and can go to your website. Domain Name works on the phenomenon of Domain Name System it also called the DNS. DNS is the system for how domain name works. DNS convert the IP address into Domain Name and Domain Name into IP Address. In the above domain name there are two part of domain name GoForTricks is called the second level domain while .com is called the gTLD or generic Top Level Domain. .COM is used for the commercial purpose. In the above example .co.uk is the Country Code Top Level Domain. 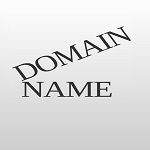 Before buying a domain name we should check it is generic or not. If our domain name is generic word then it will be easy to rank in google search engine. If a domain name match the services we are providing then it will be easy to remember for the people who hear it once and twice. For Search Engine Optimization or SEO purpose the domain name should match the services we are providing through our site so that it will be easy to get more traffic to your site. When anyone stablish their business then obviously he want to make his brand name so for the branabality we can purchase the brand name but there are less chances to get traffic to brandable domain name rather then the generic domain domain. But if your search engine optimization is strong then you can get more traffic to your site. So in selecting a good domain name brand name matter. Before buying a domain name we should check its appraisal value it appraise the domain name which make it more strong. The appraisal value should be high as possible. This was all about the What is Domain Name.